The MorningStar Premium Library add-on is for those who want to dig even deeper in their study and understanding of God's Word. 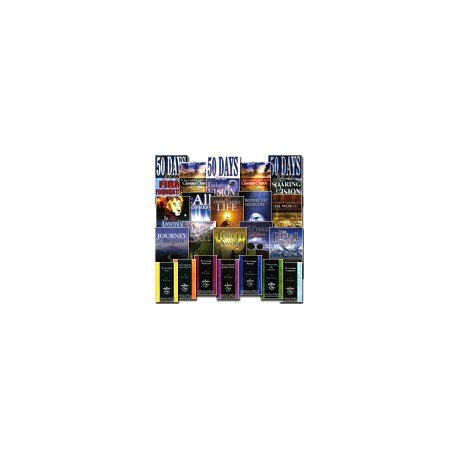 With more than $200 worth of Rick Joyner and MorningStar Ministries titles, this premium library add-on includes: There Were two Trees in the Garden, The Final Quest, The Call, The Torch and the Sword, The Overcoming Series, The Prophetic Ministry and The Apostolic Ministry. It also includes You May All Prophesy by Steve Thompson. In all you receive a total of 22 MorningStar Books. This is a revolutionary tool for pastors, students, leaders or anyone who hungers to go deeper in their study of God's Word. Before you purchase this add-on, please check the MorningStar Ministries web site at www.morningstarministries.org for the MorningStar PC Study Bible - Premium Edition . It includes all of the 22 titles listed below, plus valuable add-on content such as The Handbook of Christian Apologetics by Peter Kreeft and Ronald K. Tacelli, Wuests's Expanded New Testament, Wuest's Word Studies in the Greek New Testament, Examine the Evidence by Ralph Muncaster and much more for a total library value of $2,200! The MorningStar PC Study Bible - Premium Edition is compatible with any previously installed PC Study Bible Version 5 library. It will also install over PC Study Bible Version 4 libraries, and will upgrade Version 4 libraries to the Version 5 engine. NOTE: This product does not qualify for coupon discounts.